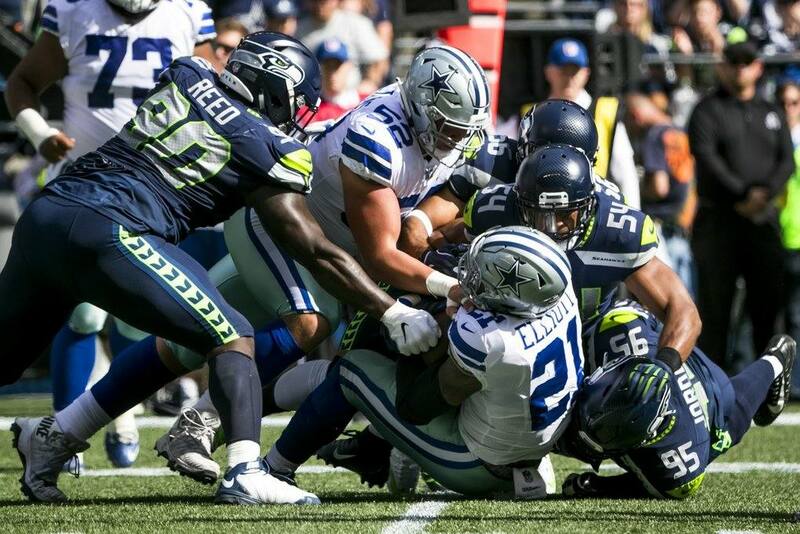 Inefficient passing and turnovers cost the Dallas Cowboys today, leading to a 24-13 loss to the previously winless Seahawks in Seattle. Dallas's offense produced just a single field goal by halftime, with Dak Prescott only completing two of his first nine passes for just four yards. He got better as the game went on, but still finished with just 168 passing yards and a single touchdown. The box score will say Prescott threw two interceptions, but one was a bobbled catch by Michael Gallup. The other was not a good throw, trying to find Blake Jarwin in traffic. Seahawks LB Bobby Wagner went up and caused a tipped ball. Both picks ended up in the hands, and ankle, of Seattle safety Earl Thomas. 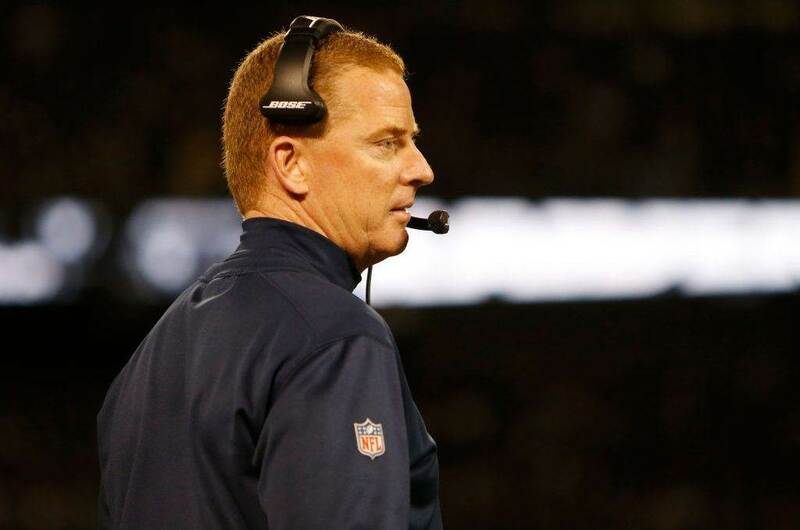 He drew a taunting penalty for bowing at the Dallas sideline on his second INT, almost as if mocking the team for not giving up enough to trade for him. Ezekiel Elliott did have a big day on the ground; 127 yards on just 16 carries. It's his first 100-yard game of 2018. But the fact Dallas couldn't capitalize on Zeke's production was just further indication of their offensive dysfunction. Hurry home, Travis Frederick. Who knew you were our Offensive MVP? 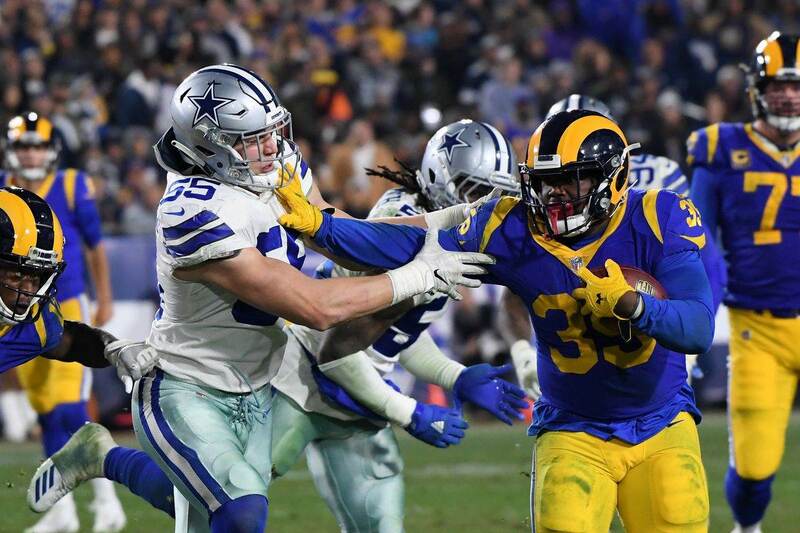 While Zeke did have a strong rushing performance, two critical errors were big parts of the Cowboys' loss. An early TD catch was called back because Zeke stepped out of bounds before making the reception. Also, Elliott's fumble in the 4th quarter squandered a strong drive that could have started Dallas' comeback attempt sooner. Dallas' defense looked good early but clearly wore down over time. Seattle RB Chris Carson ground out 102 rushing yards on 32 carries. Russell Wilson took advantage of some miscues in the secondary for two touchdown passes and 192 passing yards. Tyrone Crawford got called for another bogus "roughing the passer" penalty after a clean hit on Wilson early in the game. The NFL has to get this figured out, because it's becoming a bigger eyesore for the league than any amount of kneeling ever did. 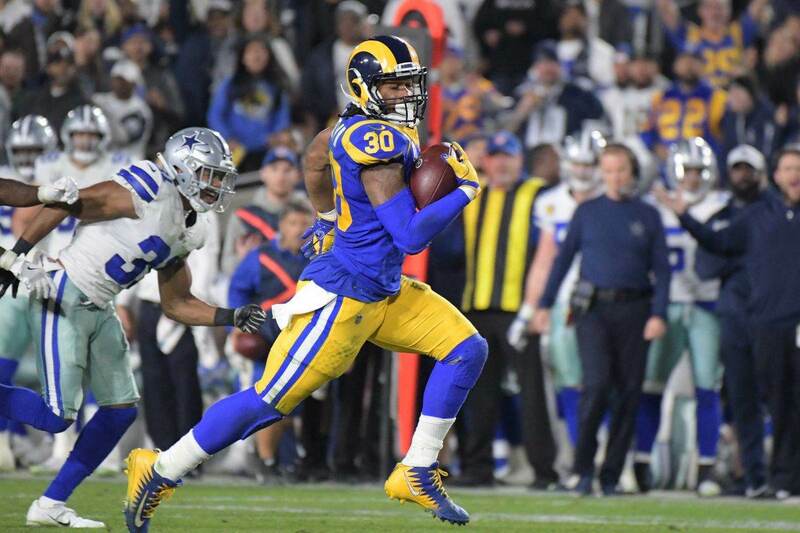 Tavon Austin got his second touchdown catch this year, the only Cowboy to record a receiving TD so far this year. Tight end Geoff Swaim had five catches for 47 yards, reminding the world that Dallas actually has TEs on their roster. Speaking of which, as Troy Aikman commented on during the game, Rico Gathers was not used in redzone passing situations. Why is Gathers dressing for games and not being utilized in the one situation where he's not a liability? Sean Lee left the game after reaggravating the hamstring injury he suffered last week. It meant more playing time for first-round pick Leighton Vander Esch, who reminded you of Lee with how he was getting to the ball. Both finished the game credited with 11 tackles each. Rookie guard Connor Williams continues to struggle when up against powerful defensive tackles. It's not a surprise for a converted college tackle, but growing pains still cost you on game day. Dallas may have to consider starting Joe Looney at guard once Travis Frederick comes back. Kicker Brett Maher went 2/2 today on field goals, including a 50-yarder. He has hit four straight after missing his one attempt against Carolina in Week 1. The rest of the NFC East won their games today. That puts Philly and Washington at 2-1 and now evens up the Cowboys and Giants at 1-2. Dallas returns home next week to host the Detroit Lions, who are currently 0-2. They play the Patriots tonight.